“Opportunity cost” is a basic concept in economics in which one considers the cost of doing one thing as the cost of not-doing something else. It involves a binary decision: if I do X, I do not do Y. This kind of binary decision-making also underlies Peter Singer’s op-ed piece “Good Charity, Bad Charity,” in which he uses effectiveness analysis and opportunity cost to explain that giving to a museum is bad, while giving to a program that prevents blindness is good so one should give only to the trachoma prevention charity. As an arts advocate, my gut emotional reaction was “more people will see but they will have nothing to look at.” My considered response is a bit more nuanced. Singer’s thought experiment is based on the choice of one donor with the capacity to give $100,000. Yes, each individual with the capacity to give must choose to whom or what to give. But must the $100,000 go to only one place and is there really only one donor? Could for example, $90,000 go to the trachoma prevention effort and $10,000 to the museum? Further, there are hundreds or hundreds of thousands of donors each giving of their wealth in some proportionally prioritized way. If 10,000 people each gave $90,000 to trachoma prevention and $10,000 to the museum, then 9 million (yes, million) people would be saved from blindness and the museum would have enough money to build the new addition and create an operating endowment to keep it running, using the numbers in Singer’s example. 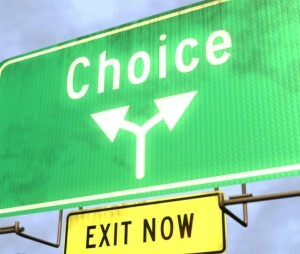 Several times in his piece, Singer uses some variant of the phrase “choose between” as if “choose both” is not even an option. Several years ago, I was introduced to the concept of “the wisdom of the ‘and’ versus the tyranny of the ‘or’” in the context of a workshop on diversity in higher education. The phrase has stuck with me and I have applied it to a broad range of situations. Being forced to choose one over the other is indeed tyrannical. Carefully weighing the broad spectrum of possibilities between “or” and “and” is wise. Singer call his evidence-based approach “effective altruism.” I believe that altruists don’t choose between, they choose both. UPDATE: The New York Times published several other refutations of Singer’s logic. This entry was posted in Arts funding, Culture and democracy and tagged Charity, giving, Museums, opportunity cost, Peter Singer, Philanthropy, Trachoma. Bookmark the permalink. Pingback: Our Recommendations for Arts Philanthropists | Createquity. Pingback: The Last Word: Our Recommendations for Arts Philanthropists | Createquity. Pingback: [Createquity Reruns] Uncomfortable Thoughts: Are We Missing the Point of Effective Altruism? | Createquity. Pingback: Uncomfortable Thoughts: Are We Missing the Point of Effective Altruism? | Createquity. Pingback: Around the Horn: Marian McPartland edition | Createquity.